We, the members of the world community who stand for our universal human rights of liberty and freedom, support Google corporate management in its calls to end Internet censorship in Communist China. We urge Google corporate management to stand by its call for "a new approach to China." We support Google corporate management's position that "We have decided we are no longer willing to continue censoring our results on Google.cn." Our universal human rights of freedom, liberty, and equality apply to every part of the world, including Communist China. We support Google corporate management's decision to defend such universal human rights, and we urge all Google corporate management to stand firm to this statement. Like those in Beijing today who have supported Google's statement by leaving flowers at Google's Beijing office, we too extend our "flowers for Google" by supporting their position to be responsible for equality and liberty in China today. We urge other corporations to learn from Google's statement and recognize that their customers do view our universal human rights as a human priority. Universal human rights are all of our rights, and all of our responsibility. Google and at least 20 others were victims of a "highly sophisticated and targeted attack" originating in China in mid-December, evidently to gain access to the e-mail accounts of Chinese human rights activists. "We recognize that this may well mean having to shut down Google.cn, and potentially our offices in China," Drummond's statement reads. According to LA Times on January 1, 2010 Chinese-made armored anti-riot trucks, equipped with plows arrived in Iran for suppressing fearless freedom loving Iranian people. According to connection Andrei Sakharov (1921-1989) a spokesman for the conscience of mankind, saw between the violation of human rights and international violence has become increasingly recognized. Scholars find that nations with broad and solid political rights (that is, democracies) have rarely if ever warred on one another. But repression at home often leads to conflict abroad. We believe in the UN universal human rights, freedom, Secular Democracy and equality apply to every part of the world, including Communist China. We support Google corporate management�s decision to defend such universal human rights, and we urge all Google corporate management to stand firm to this statement. To maximize our pressure recommending to freedom loving people of world to boycott Chinese products, remove or reduce your investment in China and don�t buy Chinese Stocks as long as China officials do not respect freedom, Secular Democracy, Human Rights, Animal Rights and helping repressive Islamist regime in Iran with Internet Censorship technologies. For several millenniums many nations have celebrated the first day of spring as their new year. Today, nearly 300 million people around the world celebrate the first day of spring as their new year, better known as Norouz (New Day). Nearly all of these celebrants live in UN member nations. Unfortunately, none of the UN calendars or affiliated agencies commemorate this important date as has been done for different celebrations of member nations. We, the undersigned, request from your Excellency, bearer of the highest office of the United Nations, to kindly authorize the relevant agencies to correct this oversight for the upcoming calendars throughout the UN agencies. Please accept our best wishes and thanks for your attention to this important request. Based on the constitution of the Islamic regime ruling Iran, Ali Khamenei, the leader designated as The Absolute Theocratic Guardianship, has unlimited authority, his commands must be unconditionally enforced and he cannot be challenged or opposed in any way. As such, Ali Khamenei acts in nothing more than in his own self-interest, in dereliction of his duty to safeguarding the lives, property and dignity of the people of Iran and maniacally runs rough shod over our nation; and with the aid of his oppressive henchmen, they add to the multitudes of the tortured and murdered of this land. This is a dictator whose inept and brutal policies has stiffled any expression of dissent and has squarely put our country in the path of destruction. This suffocation and continued injustice has drowned out the voices of protesting groups such as the legions of workers, teachers, students, writers, journalists, bloggers, etc. Each day the number of the executed and tortured, in the prisons increases, all simply as a result of differences of opinion or opposition to the regime�s course of action. As a result, in view of the recent warrant issued by your court, in the case of Omar al-Bashir, the criminal leader of The Sudan, we the below signatories, call upon you to also investigate crimes committed by Ali Khamenei, and to also issue a warrant for his arrest. از آنجا که بر اساس قانون اساسی رژیم اسلامی حاکم بر ایران، علی خامنه ای رهبر این رژیم به عنوان "ولایت مطلقه فقیه" اختیارات نامحدود دارد و احکام او لازم الاجراست، هیچ نیرویی توان مقابله با خواست او را در این کشور ندارد. بر این پایه، علی خامنه ای به عنوان یک رهبر خودکامه، بی اعتنا به جان و مال و ناموس مردم ایران، دیوانه وار بر این کشور فرمان می راند و به یاری ایادی سرکوبگر خود روز به روز بر شمار شکنجه دیدگان و کشته شدگان این سرزمین می افزاید. او دیکتاتوری است که با سیاست های نادرست و سرکوب هر صدای مخالف خود، کشور ما را در آستانه ویرانی کامل قرار داده است. این خفقان و سرکوب های وحشیانه موجب شده که فریاد گروههای معترض اعم از کارگران، معلمان، دانشجویان، نویسندگان و وبلاگ نویسان راه به جایی نبرد و هر روز بر شمار شکنجه شدگان و اعدامیان در زندان ها که تنها به دلیل اختلاف عقیده و مخالفت با مشی و عملکرد مسئولان این رژیم بازداشت شده و در زندان به سر می برند، افزوده گردد. از این رو ما امضا کنندگان زیر، با توجه به حکمی که آن دادگاه محترم در باره "عمر البشیر" رهبر جنایتکار سودان صادر کرده است، خواهان رسیدگی به جنایات علی خامنه ای رهبر جمهوری اسلامی و صدور حکم مقتضی برای وی هستیم. 40 Nobel Prize winners appealed to Obama and other world leaders this week in a New York Times ad to let the Iranian people "know that we are on their side." HOW LONG CAN WE STAND IDLY BY AND WATCH THE SCANDAL IN IRAN UNFOLD? We the undersigned urgently appeal to you and the other leaders of the world, to use your prestige and power to put an end to this outrage. The situation in Iran is not improving; in fact, it is worsening every day. The cruel and oppressive regime of �Supreme Leader� Ali Khamenei and President Ahmadinejad, whose irresponsible and senseless nuclear ambitions threaten the entire world, continues to wage a shameless war against its own people. Human rights violations have now attained new levels of horror. Thousands of the regime�s political adversaries are being arrested, imprisoned, tortured, raped, and killed, many by hanging. Seyed Ali Mousavi, nephew of the opposition leader Mir Hossein Mousavi, has been assassinated. Former Foreign Minister Ibrahim Yazdi is among the detained. Human rights activist Emad Baghi and so many other dissidents are behind bars. The Basij militia and police continue to fire indiscriminately on unarmed, peaceful demonstrators. According to the press, riot tanks have appeared in the capital. And yet, overcoming fear and ignoring threats, tens of thousands of freedom-loving men and women, many of them young students, are marching in the streets shouting their faith in democracy and liberty. They must know that we are on their side. IN THE NAME OF CONSCIENCE AND HONOR, WE APPEAL TO THE LEADERS OF THE INTERNATIONAL COMMUNITY TO DO WHAT IS NEEDED TO HELP THESE COURAGEOUS FIGHTERS WHO RISK THEIR LIVES STANDING UP TO THEIR GOVERNMENT�S IMMORAL, INHUMAN AND ILLEGAL OFFICIAL POLICY. More forceful and unequivocal condemnations of Tehran�s repulsive practices must be heard from Washington and Paris, Moscow, London and Berlin, the Security Council and important NGO�s. Harsher sanctions must be imposed. And yes, concrete measures must be taken to protect this new nation of dissidents, so that their sacrifice is not � and will not � be in vain. All of us who care must offer our full support and solidarity to the brave people of Iran. 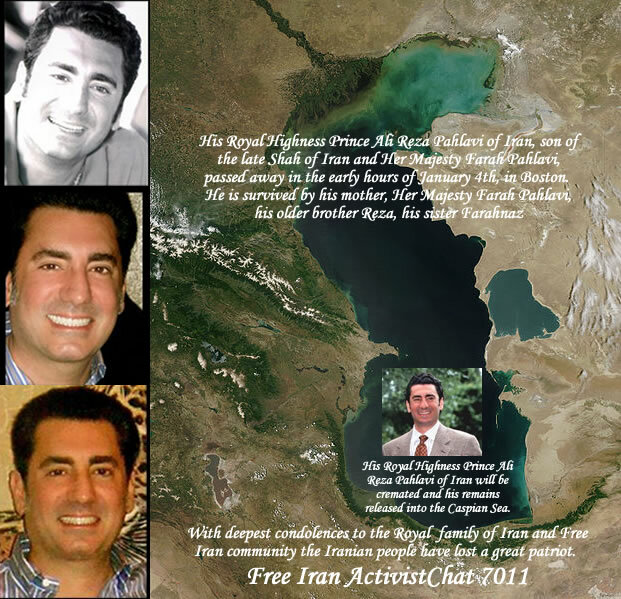 Posted: Wed Apr 21, 2010 6:27 pm Post subject: Petition 93: Sanction Iran�s Revolutionary Guards! We, the signatories to this petition, call on European policymakers to enact immediate sanctions against the Iranian Revolutionary Guard Corps (IRGC). The IRGC is one of the largest sponsors of terrorism networks in the world today, responsible for the deaths of hundreds of citizens in various countries. The IRGC has been directly linked to the physical torture and executions of homosexuals, women and children, as well as of members of national and religious minorities. The world has watched as the IRGC has brutally and violently assaulted and killed Iranian pro-democracy demonstrators. This rogue organisation, through a web of business and financial entities it controls in Iran and worldwide, is essential for the military nuclear programme which could target Europe and countries in the Middle East, especially Israel. An atomic bomb in the hands of the Mullahs is also a danger for the Iranian people who would be confronted with an invigorated regime that would drastically reduce any chances of real change. We, the undersigned, together with the European STOP THE BOMB coalition, urge European governments and EU decisionmakers to lead the way by immediately implementing severe sanctions against the Iranian regime�s Revolutionary Guard Corps. These actions will send the Islamic regime a clear message that Europe demands an immediate end to the brutal oppression of the Iranian pro-democracy movement, opposes Iran�s quest to build a military nuclear programme and its continued support of terror organisations around the world. As signatories to this petition, we urge European politicians and policy makers at all levels to take these steps. It is unconscionable for Europe not to take profound action as democracy-seeking Iranians continue to be brutally victimized by a fundamentalist regime which is only concerned about staying in power and building a nuclear arsenal. � the support of the freedom movement in Iran and its quest for a secular and democratic state. A petition signed by prominent Europeans was launched today as part of a European-wide campaign to put the Iranian Revolutionary Guards Corps (IRGC) on the terror list of the European Union. The petition�s signatories also urge the EU and its member states to ban trade, and encourage their countries� businesses to cease economic activity, with entities associated with the IRGC. The petition, launched by the European STOP THE BOMB Coalition, was signed by prominent European officials from eight countries. The signature list includes diplomats, member-state parliamentarians, former and current Minister�s of Defense, Interior, European Affairs and other cabinet-level positions, as well as academicians and a Nobel Prize Laureate. Acknowledging the broad support for sanctions against Iran, this petition is signed by representatives of most of the major political parties across Europe. The IRGC is instrumental to the suppression of the Iranian pro-democracy movement, Iran�s sponsoring of terrorist organizations and its nuclear weapons programme while controlling the majority of the Iranian economy. As Iran's most important trading partner, the EU is in a unique position to affect change. Therefore, the EU has the responsibility to impose severe sanctions to thwart Tehran�s drive towards nuclear weapons, and to firmly act towards the protection of human rights in Iran. The European STOP THE BOMB Coalition is active in a number of European countries to educate public discourse, politicians and government officials on the Iranian military nuclear threat and the abuses by the Iranian regime against its people. Elfriede Jelinek (German pronunciation: [ˀɛlˈfʀiːdɛ ˈjɛlinɛk]) (born 20 October 1946) is an Austrian playwright and novelist. She was awarded the Nobel Prize in Literature in 2004 for her "musical flow of voices and counter-voices in novels and plays that, with extraordinary linguistic zeal, reveal the absurdity of society's clich�s and their subjugating power." The European STOP THE BOMB coalition for a nuclear free and democratic Iran is a broad-based, non-partisan coalition with EU member states allies that seeks to prevent a nuclear Iran. It was founded in 2007 in Austria; in 2008 STOP THE BOMB started a campaign in Germany and established a European network with further allies in a number of countries like Italy, the Netherlands and Spain. STOP THE BOMB tries to raise public and political awareness of the Iranian nuclear threat and to provide information about the character of the Iranian regime. The organization seeks to educate key decision makers on the Iranian military nuclear program and the threat it poses to Israel, the region and Europe. Also, the coalition exposes the continued business relationship between European companies and the Iranian regime. As such, STOP THE BOMB works towards the imposition of consistent economic and political sanctions against the Iranian regime and the support of the secular, constitutional and democratic opposition in Iran and in exile. STOP THE BOMB organizes conferences, lectures, briefings, press conferences, petitions, protests and rallys to create visibility for that issue. My compatriots and I are greatly concerned about the continued violation of human rights in Iran. The clerical regime continues to repress citizens, arresting activists and dissidents, and threatening them with execution, in an attempt to intimidate our compatriots. On numerous occasions I have issued statements to the press and sent urgent letters to your esteemed office stressing the dire conditions of my compatriots who have been maimed and tortured in prisons. I wish to draw your attention in particular to the case of the following individuals. The crime of these prisoners, has been their protesting of the last �so-called� election, and has consequently been sentenced to death. Their execution is imminent! Sadly, there are many others whose detentions and even executions are unbeknownst to the world media and governments. Many, if not all political prisoners in Iran are routinely brutalized and held in solitary confinement in spite of the specific objections of the United Nations. Unfortunately, the clerical regime has so far ignored these warnings as well as all the urgent appeals made by international human rights organizations, such as Amnesty International and Human Rights Watch. As we are all aware human rights and fundamental freedoms are one of the sacred basic purposes of the UN Charter. Thus, I urgently request your Excellency�s personal intervention on behalf of all political prisoners in Iran, to put as much pressure as possible on the clerical regime to immediately stop such practices and free all political prisoners without delay. من وهموطنانم در مورد نقض روز افزون حقوق بشر در ایران بسیار نگران هستیم. رژیم مذهبی به سرکوب شهروندان، دستگیری فعالان ومخالفان، و تهدید آنان به اعدام، در تلاشی برای ایجاد وحشت در هم میهنانم همچنان ادامه میدهد. من بارها اطلامورد ستم قرار میگیرند ودرسلولهای انفرادی نگاهداری میشوند علیرغم مخالفتهای سازمان ملل. متاسفانه رژیم روحانیون در ایران این هشدارها و همچنین در خواست های فوری سازمانهای مدافع حقوق بشر، نظیر سازمانهای عفو بین الملل و دیده بان حقوق بشر را تا کنون نادیده گرفته است. همانگونه که همه ما آگاه هستیم، حقوق بشر و آزادی های بنیادی افراد یکی از مقاصد اصلی منشور سازمان ملل متحد است. بنابراین با فوریت از آن عالیجناب می خواهم، از جانب همه زندانیان سیاسی درایران، شخصا در این امر مداخله کنید و تا جایی که ممکن است به رژیم روحانیون در ایران فشار وارد آورید که چنین اعمالی را فورا متوقف کند و کلیه زندانیان سیاسی را بدون هیچگونه تاخیری آزاد سازد. We, the undersigned, want it to be known that the victims of the Gulf Oil Disaster deserve to be heard by a judge with no ties to Big Oil. Over 300 lawsuits have been filed in regards to the explosion of the Deepwater Horizon and the subsequent oil spill. BP, among others, are named as the defendants in these lawsuits. Back in June, BP requested that a single Judge preside over the combined lawsuits: Judge Lynn Hughes of Houston, Texas. Judge Hughes has an immense conflict of interest because of his deep ties to the oil and gas industry. The residents who are already affected deserve a truly independent Judge to preside over these lawsuits. Therefore, we the undersigned petition the JPML to select a Judge with no ties to the oil industry. FREE Iran Calls for General Strike by all Iranians as the best Option to Stop New War of Madness plan by Islamist Thugocracy Regime, Israel, Saudi Arabia and USA. Why FREE Iran community disagree with this military option? Why FREE Iran community disagree with military option? Any policy which ignores the American People National Interest and Iranian people National Interest will be exposed and rejected. If the US Generals and US elected officials truly wish to work in the direction of American People long term National Interest for once in past 30 years (Dr. Robert M. Bowman, Lt. Col., USAF, ret. Is National Commander of �The Patriots�, US Waking Up Now..
1) Due to the fact that no Iranian opposition group has financial resources and US government has blockaded over 30 billion dollars of Iranian people money since 30 years ago hostage crisis therefore it is fair that US government accepts the responsibilities to openly setup true transitional leadership fair election among Iranian Americans and Iranians in EU countries to identify the top 9 FREE Iran leaders with highest number of votes who are supporting secular democracy, human rights and regime change in Iran. 2) The election process outside Iran should be approved by 2 key leaders of FREE Iran opposition HM Prince Cyrus Reza Pahlavi and H.I.M Queen Shahbanoo Farah Pahlavi with clean records. 3) Only those Iranian who lived outside Iran and never worked or supported Islamist regime in past 30 years can become candidate for highest transitional FREE Iran leadership positions. 4) After election US government should release over 30 billion dollars of Iranian people money and allow 9 transitional FREE Iran leadership council to spend it for 100,000 Iranian opposition military training and other required regime change actions in Iran in coordination with American Generals. Support Iranian People to Change Islamist Mafia Thug Regime NOW by releasing over 30 billion dollars fund to top 9 elected FREE Iran leaders outside Iran for Regime Change �. In the past the great majority of FREE Iran community members who are after regime change in Iran, secular democracy, free society ... never interfere in Israel affairs, her differences with Arab neighbors � and wished no harm to freedom loving and peace loving Israeli people � now that for third time possible Israeli attack to Iran is exposed by US former Senior Intel officers and American Generals in recent years then FREE Iran communities prefer Prime Minister Benjamin Netanyahu step down because we don�t trust him and FREE Iran communities don�t feel safe as long as irrational Prime Minister Netanyahu is in charge�. FREE Iran community appeal to Iranian American Jews, rational American Jews, and peace loving Israeli Secular youth to ACT Now and stop Prime Minister Netanyahu destructive policy and support to be replaced by rational Iranian Israeli General Mofaz or other rational secular peace loving Israelis�. We are living in complex era, please assume the worst case WAR scenario that both Iran and Israel will be destroyed soon. ACT now to stop destructive WAR madness plan by fanatics and greedy masters of the world and hope for the best scenario. How to test your leadership influence with your friends on an important issue that you might care about? HOW Can We spread the words FASTER JOIN NOW Call for General Strike in Iran & Israel to Stop New WAR Plan ? 2) Just below the image on the left hand side, click on "Suggest to Friends"
3) The invite window should pop up. Once this happens, just copy and paste the following Code into your Browser URL and press enter. Dear Shahbanoo, The news of the death of Shahpour Alireza Pahlavi, your beloved son, came as the greatest shock to so many of us. Overwhelmed with sorrow and with heavy hearts, we would like to extend our deepest condolences to you and your dear family. May God give you patience for losing your son at the prime of his life, may his beautiful soul rest in peace, and may our beloved land be set free from the grips of the fanatics that are bringing it to ruins. You are in our prayers. ‎"شمع وجود علیرضا در قلب هزاران انسان چه در ایران چه در اقصی نقاط دنیا خاموش شدنی نیست بلکه فروزانتر خواهد شد چرا که او قلبها را در تسخیر خود دارد و این بزرگترین ثروت باقی ملنده از او برای ملتش میباشد"
First came the earthquake. Then the tsunami. Then multiple explosions at nuclear reactors. Several Japanese nuclear reactors are at risk of melting down with unthinkable release of radiation. The crisis in Japan is heartwrenching. The latest reports suggest at least 10,000 dead from one of the most powerful earthquakes in recorded history followed by a devastating tsunami. And that number is likely to rise. But perhaps the worst is yet to come as multiple nuclear reactors in Japan are redlining and officials frantically release radioactive steam into the atmosphere in hopes of averting a total nuclear meltdown. Tell President Obama: No more nukes. Not now. Even now, politicians of both parties are so beholden to the nuclear industry, that they are racing to microphones to say that the U.S. must EXPAND its taxpayer support of building even more nuclear reactors. Tell President Obama: We need investment in clean, renewable energy, not more nuclear time bombs. What does it take for Congress and President Obama to get the message? In just the last year, we have suffered massive disasters as a result of declining and risky energy technologies. Coal, oil, and now nuclear power have been the center of soul searching crises in the past 12 months. First came the massive coal mine collapse in West Virginia courtesy of the rapacious Massey Energy. Then came the massive BP oil disaster in the Gulf of Mexico which failed to slow significant advances by the oil companies in drilling offshore of the United States. And now comes a massive nuclear crisis in Japan, the worst nuclear disaster since Chernobyl. Yet nothing has been done. It's time to stand up and defend the planet and the people who live on it. Tell President Obama: Enough is enough: No new nukes. 1 "Will nuclear industry feel the fallout from Japan?," Politico, March 13, 2011. President Obama: Reverse your support of risky nuclear power. First came the earthquake. Then the tsunami. Then multiple explosions at nuclear reactors. Several Japanese nuclear reactors are at risk of melting down with unthinkable release of radiation. Beyond Nuclear aims to educate and activate the public about the connections between nuclear power and nuclear weapons and the need to abandon both to safeguard our future. Beyond Nuclear advocates for an energy future that is sustainable, benign and democratic. The Beyond Nuclear team works with diverse partners and allies to provide the public, government officials, and the media with the critical information necessary to move humanity toward a world beyond nuclear. Kevin Kamps specializes in high-level waste management and transportation; new and existing reactors; decommissioning; Congress watch; climate change; federal subsidies.Click on Kevin's name to open full bio. And see Kevin Kamps' 1992 Walk Across America for Mother Earth "Winter Count Poster" and key, documenting the cross country march that introduced him to anti-nuclear activism. A more detailed bio can be found here. Cindy Folkers specializes in radiation impacts on health; Congress watch; energy legislation; climate change, federal subsidies, and handles the administrative operations of Beyond Nuclear.Click on Cindy's name to open full bio. Linda Gunter specializes in media and development but also works on the nuclear power-nuclear weapons connection; wildlife impacts; nuclear France; and uranium mining and human rights. Click on Linda's name to open full bio. Dr. Helen Caldicott. Dr Helen Caldicott, has devoted the last 35 years to an international campaign to educate the public about the medical hazards of the nuclear age and the necessary changes in human behavior to stop environmental destruction. In the U.S. she co-founded the Physicians for Social Responsibility. The international umbrella group (International Physicians for the Prevention of Nuclear War) won the Nobel Peace Prize in 1985. She also founded the Women's Action for Nuclear Disarmament (WAND and now known as Women's Action for New Direction) in the US in 1980. She is the author of numerous books and currently hosts a radio show in the U.S. - If You Love This Planet. Ed Asner. Edward Asner. Ed is an American film and television actor and former President of the Screen Actors Guild, primarily known for his role asLLou Grant on the Mary Tyler Moore Show and its spin-off series, Lou Grant. More recently, he provided the voice of Carl in Up and continues to tour in live theater productions. Robert Backus, Esq. (Manchester, NH). Board Chair. Bob's anti-nuclear work began on June 28, 1972 when he served as the attorney for two New Hampshire environmental organizations that wished to monitor, but not necessarily oppose, Public Service New Hampshire's application to build two reactors at Seabrook, NH. Bob has twice run for new Hampshire State Senate. Kay Drey (St. Louis, MO; anti-nuclear activist). Board Secretary. Kay Drey, now retired, has worked for 30 years as an advocate for the protection of the general public, workers and the environment from the hazards of nuclear power and radioactive waste. She made her first speech against nuclear power on November 13, 1974 before a Missouri State Senate committee and today still conducts research and maintains a comprehensive library used by media, government officials and members of the public. 20 years in secondary education culminated as the Director of an alternative multi-cultural high school. He has worked for 35 years since as a consultant, facilitator, producer and press coordinator in international environmental and peace organizations such as Promoting Enduring Peace, EarthKind, EKTAS, Int'l. (Russia), PACE (Peoples Action for Clean Energy) and Beyond Nuclear. He has an MAT from Yale University. Karl Grossman(Sag Harbor, NY; professor and journalist). Karl teaches at the State University of New York/College at Old Wesbury. He has been writing and making television programs about nuclear technology since 1974. His books include: Cover Up: What You Are Not Supposed to Know About Nuclear Power and his television documentaries include Three Mile Island Revisited and The Push to Revive Nuclear Power. Judith Johnsrud, Ph.D. (State College, PA; radiation and nuclear power specialist). Judith's many decades of activism include work on: the geography of nuclear energy; its entire system of production, utilization, and waste isolation; radiation impacts on humans and the environment; and the problems of sequestration of "high-level," "low-level," and recycled radioactive wastes. Judith Kaufman (Cornish, NH; community development consultant, antinuclear activist). Judith Kaufman's environmental activism started with her work with the Upper Valley Energy Coalition and the Clamshell Alliance in 1976. She has since worked with coalitions of activists fighting regional plant and waste siting and relicensing of nuclear plants in Northern New England. As a professional, she launched the now largest microlending program in Kazakhstan - a nuclear weapons-free zone. Ed Asner, Ed Begley,Jr., Christie Brinkley, Susan Clark, David Cortright, James Cromwell, Judi Friedman, Keith Gunter, Joan MacIntosh, Friedrike Merck, John McEnroe, Bonnie Raitt, Susan Sarandon, Marilyn Strong, Steven Strong, Paul Winter, Gretchen Wyler (1932-2007). For more about Beyond Nuclear, read our general organizational pamphlet. And see our 2010 Annual Report. The undersigned university professors, administrators, researchers and professional Iranians express our deepest concern and strongest opposition to the proposed extreme policy by the Iranian Ministry of Higher Education to impose gender segregation at Iran�s institutions of higher education. We urge you to actively oppose the adoption and implementation of this proposal at anytime in your institution, simply because segregation is a deliberate anti-women policy that will adversely impact the quality of education in many advanced fields for Iranian women. 76-year history of higher education in our country has shown that our mature university students should be trusted to conduct themselves appropriately while attending colleges and universities, and they do not need government-imposed guardians to control their behavior. Dept. of Elec. & Computer Eng. To: UNITED NATION SECURITY COUNCIL. PLEASE SIGN THE PETITION TO MAKE THIS CASE AN EVIDENCE OF ALL THE MURDEROUS ACTIONS BEING TAKEN AGAINST IRANIANS. برای جنایات مرتکب شدهٔ خامنه‌ای علیه مردم ایران و بشریت. Today I am submitting the following report to the United Nations Security Council on crimes against humanity, ordered by Mr Ali Khamenei, Supreme Leader of the Islamic Republic, and carried out on the people of Iran. The focus of the attached �Report on Crimes Against Humanity Committed in Iran on the Orders of Mr. Ali Khamenei � Supreme Leader of the Islamic Republic of Iran� are the crimes against humanity committed to suppress popular dissent after Mahmoud Ahmadinejad�s fraudulent re-election in June 2009. The evidence in this report provides sufficient cause for the United Nations Security Council to take up this matter and refer it quickly to the Chief Prosecutor of the International Criminal Court in The Hague. However, for the past thirty-three years, the Supreme Leaders of the Islamic Republic have had in place a policy and record of oppression against ethnic communities and religious minorities. I intend to file further supporting reports documenting the abuses of these Iranian citizens and will summarize these crimes in another report. I want to thank the team of legal and human rights experts who worked tirelessly to put together this important report. I strongly urge the members of the United Nations Security Council to give top priority and their highest consideration to this vital matter and expeditiously refer these crimes to the International Criminal Court. The people of Iran have suffered far too long and today expect help and support from the international community. I therefore encourage all justice-minded people around the world to take action and ask their respective governments - particularly those who are members of the security council - to take positive action on this complaint. I address this message to you to alert you of the grave acts ordered by the Supreme Leader of the Islamic Republic of Iran, Mr Ali Khamenei. These acts constitute systemic and continuing violations of human rights and are subject to a classification as "crimes against humanity" as defined in Article 7 of the Rome Statute. These acts are directed against all Iranian citizens of all social classes, who are demanding that their human rights, as defined by the Universal Declaration of Human Rights, be respected. In addition to the matters related in the recent report of Mr. Ahmad Shahid - Special Reporter on the Human Rights Situation in Iran - there are ample evidences indicating that the regime which deprives Mr. Mir-Hossein Mousavi, Ms Zahra Rahnavard and Mr. Mehdi Karroubi of their freedom violates all international laws. None of them have been able to benefit from the legal rights that an ordinary person prosecuted by the justice of his or her own country must have access to. They have in fact been refused the right to defend themselves and to benefit from legal representation. In this wave of repression that affects the entire population, the Islamic Republic has used cruel, inhuman and degrading means and methods against many Iranian citizens, including but not limited to : Behnam Ebrahimzadeh, Bahman Ahamdi Amoui, Mansour Osanlou, Hasan Asadi Zeidabadi, Emaddin Baqi, Ayatollah Boroujerdi, Emad Behavar, Hossein Palani, Ali Pour Soleiman, Mohammad Reza Pour Shajari , Mostafa Tajzadeh, Majid Tavakoli, Reza Joshan, Hamid Reza Khadem, Mehdi Khodaee, Reza Khaajee, Mohammad Davari, Arzhang Davoudi, Majid Dorri, Hossein Ronaghi Maleki, Ali Reza Sepahee Laeen, Issa Saharkhiz, Ghasem Sholeh Sadi, Keyvan Samimi, Heshmatollah Tabarzadi , Abulfazl Abedini, Javad Alikhani, Sad Gholamhosseinpour, Abbas Kakaee, Javad Lari, Farshad Maroufi, Mohammad Reza Moghayse, Hamid Moazzani, Abdollah Momeni, Bahareh Hedayat, Mahboobeh Karami, Hojatoleslam Arash Honarvar, Ahmad Zeidabadi, Ali Jamali, Mohsen Aminzadeh, Mohsen Mirdamadi, Feizollah Arabsorkhi, Esmaeel Sahabeh, Mohammad Esmaeel Khourbak, Abdollah Ramezanzadeh, Massoud Bastani, Farshad Ghorbanpour, Davood Soleimani, Behzad Nabavi, Mohsen Safai Farahani, Shabnam Madadzadeh, Saeed MatinPour, Hassan Fathi, Mehdi Mahmoudian, Priest Yousef Nadarkhani, Saeed Malekpour, Arash Sadeghi, Farshid Fathi, Shahin Zeinali, Arya Aramnejad, Sasan Vahebi, Reza Shahabi, Saeed Matinpour, Ali Malihi, Mohammad Seif, Mohammad Javad Mozaffar, Haniyeh Farshi, Mohammad Sedigh Kabodvand, Ali Akbar Ajami, Mahdiye Golroo, Fereshte Shirazi, Ronak Saffarzadeh, Mahbobeh Karami, Mosa Saket, Reza Malek, Saeed Maasouri, Amir Khosro Dalirsani, Zeinab Jalalian, Shirkooh Maarefi, Farah Vazehan, Sama Norani, Mahvash Sabet, Ziya Nabavi, Arash Honarvar Shojaei, Fariba Kamalabadi, Jamalodin Khanjani, Afif Naeemi, Saeed Rezaiee, Behrouz Tavakoli, Vahid Tizfahm, Parastou Dowkoohaki, Javad Emam, Saeed Jalalifar, Amir Khoram, Babak Dashab, Fatemeh Kheradmand, Alireza Rajaee, Hossein Zarrini, Seyed Alireza Beheshti Shirazi, Fereidoon Seydi Rad, Jalil Taheri, Mohammad Farid Taheri Ghazvini, Mohammad Tavassoli, Siamak Ghaderi, Abolfazl Ghadiani, Mohsen Mohagheghi and Mohammad Reza Motamednia. These and hundreds of other political prisoners from all categories of the Iranian people represent all democratic tendencies and are now oppressed. Security forces and intelligence services of the Islamic Republic use the accusation of "crimes against national security" to justify their arbitrary arrests and to remove all proof and evidence attesting to the serious and systematic human rights violations in which they are engaged. On this basis, lawyers and defenders of human rights are prevented from accomplishing their mission: they are intimidated and some are arrested and imprisoned. Nasrin Sotoudeh, Abdulfatah Soltani, Hengameh Shahidi, Mohammad Seifzadeh and Kohyar Goudarzi are now silenced for these reasons. Their only crime is to have demanded respect of human rights for their compatriots. As a founding member of the United Nations, Iran has signed the Universal Declaration of Human Rights to express its willingness to join the community of nations working for peace and mutual understanding among the people. Despite that, leaders of the Islamic Republic are part of an ongoing violation of these universal values. The acts they commit, or which they give orders to commit, consist of serious violations of the provisions contained in this Declaration, particularly Articles 2, 3, 5, 7, 9, 10, 12, 19, and Article 20 paragraph 1 and Article 21. The only thing we can do is to report the names of the victims of the Islamic Republic, to provide documentary evidences and to inform the world about their situation. In addition to the names we have mentioned, there are hundreds, even thousands, who are held in prisons. There are hundreds, even thousands, who are subjected to cruel, inhuman and degrading treatment. The silence of the international community concerning the human rights situation of political prisoners in Iran can but lead to a worsening of the repression and encourage the Islamic Republic to continue its policy of terror. As it is based on religious law, the Constitution of the Islamic Republic gives all political, military and economic power to the Supreme Leader, Mr Ali Khamenei, whose institution is at the top of the regime�s hierarchy. The powers he holds give him the possibility to control and intervene without limitation in all aspects of the public and private life of Iranians. As Supreme Leader, Mr. Ali Khamenei nominates six of the twelve members of the Guardian Council of the Constitution, which then selects, in accordance with his instructions, eligible persons for the political institutions. The Head of the judiciary is nominated by him and can be dismissed at will. The Head of the judiciary implements the penal policy decided by the Supreme Leader and nominates the six others members of the Guardian Council of the Constitution in accordance with his instructions. The Supreme Leader also controls the activity of the members of the regime�s Expediency Discernment Council, which works with him to preserve the regime and is composed of six members of the Guardian Council of the Constitution, the President of the Islamic Republic, the President of the Parliament, the Head of the judiciary, and ten or so persons nominated by him. The Supreme leader controls the activity of the Assembly of Experts, indeed elected by the people but whose candidates must satisfy the requirements he defines through the Guardian Council of the Constitution. This Assembly works with him on the development of a political-religious doctrine in order to preserve the authority of the clergy in the country. Finally, he nominates the senior officials of the army and the police, the members of local councils, and the head of national radio and television services. Thus, the person primarily responsible for the crimes committed by the Islamic Republic is the Supreme Leader of the Islamic Republic: Mr. Ali Khamenei. - Persecution of various groups for political, religious or sexual reasons. These crimes were not committed in a specific place or a particular region of Iran, but throughout the country, and against any Iranian civilian whose only crime was to demand free elections and the respect of the people�s vote. From the evidence that we have updated, it is clear that these crimes were deliberately committed against the civilian population, implementing political decisions taken by the highest authorities of the regime, and primarily by Mr. Ali Khamenei. I accuse Mr. Ali Khamenei to be the person with primary responsibility for all crimes committed against Iranian citizens. What happened after the 2009 election meets all criteria of crimes against humanity, as defined by Article 7 of the Rome Statute. For these reasons, I call on the Heads of State and Governments of member countries of the Security Council to refer these crimes to the Prosecutor of the International Criminal Court, in accordance with Article 13 b) of the Rome Statute, so that he can investigate the crimes committed by leaders of the Islamic Republic against Iranian civilians. I also call on the Heads of State and Governments of member countries of the Security Council to significantly increase pressure on the leaders of the Islamic Republic by demanding the immediate and unconditional release of all political prisoners. As the Islamic Republic is a signatory to the Universal Declaration of Human Rights and the International Covenant on Civil and Political Rights, the international community have to call the Iranian regime to comply with its international obligations and with the fundamental rights of the Iranian people. We believe that such a reaction from the international community, in response to the behaviour of the Iranian regime against its citizens, will send a strong message to the leaders of the Islamic Republic. The focus of the attached �Report on Crimes Against Humanity Committed in Iran on the Orders of Mr. Ali Khamenei � Supreme Leader of the Islamic Republic of Iran� are the crimes against humanity committed to suppress popular dissent after Mahmoud Ahmadinejad�s fraudulent re-election in June 2009. However, for the past thirty three years, the Islamic Republic has had in place a policy and record of oppression against ethnic communities and religious minorities. We intend to file further supporting reports documenting the abuses of these Iranian citizens and we will summarize these in another report. I respectfully request that you refer this urgent matter to the International Criminal Court. I assure you that there will be no resolution of the crises caused by the Islamic Republic unless it is forced to respect the fundamental rights of Iranian citizens. As you definitely know by now, the government of Islamic Republic of Iran (IRI) has not only been involved in many different sorts of imprisonment, torture and execution of Iranian freedom-seekers, it also has a long history of censorship of paper and digital publications, independent sites, and weblogs. It�s aim is to bar the Iranian citizens from getting news and airing their views. At the same time, and especially during the last few months, IRI�s so-called �Cyberspace Army� has aimed its attacks towards the Internet sites that are outside Iran and has invaded the sites and weblogs that belong to political and human-rights activists, as well as the ones for cultural, ethnic and religious minorities. The mere guilt of these victims is their protest against the discrimination waged by IRI authorities towards all non-conformist groups, while (IRI) has continued their devastating blows to Iranian cultural and natural heritage and the country�s environment. In this way, the IRI�s factions have tried to disconnect Iranians in Iran from the outside. What IRI is doing, though very painful, is understandable for us, the Iranian freedom-seekers. We know that we should not expect anything less from an anti-human-rights regime like IRI. But, one wonders how they have been able to penetrate your systems and disturb your client�s activities. Upon the provisions of the Universal Declaration of Human Rights that emphasize the rights of everyone to enjoy freedom of thought, belief, expression and access to all available information without any fear of prosecution; we, the signatories of this document, as a group of Iranian freedom-seekers, as citizens of your countries, and our planet, we ask you to find a solution to this human problem, using all your skills, knowledge and know-how. We ask you not to allow your Iranian clients all over the world to suffer from this illegal censorship by a state that does not speak with its people and others who have sought refugee in your countries but in the language of suppression. We also ask the humanist and freedom lovers of the world to stand by us and help us protect our natural, civilized and human freedom and liberties. The freedom-seeker friends of Iranian culture from all over the world. همانطور که می دانید دولت و حکومت جمهوری اسلامی در ایران، علاوه بر زندانی کردن، شکنجه و اعدام حق طلبان و آزادی خواهان، تاریخچه بلندی دارد از سانسور شدید نشریات، سایت ها، و وبلاگ های مستقل و غیروابسته و جلوگیری از مطلع شدن شهروندان ایرانی از رویدادها. در این چند ماهه اخیر، کار به جایی رسیده که این نوع سانسور را متوجه سایت های غیر ایرانی خارج از کشور نیز کرده و مرتب ایمیل ها، و صفحات کوشندگان حقوق بشر و مبارزین سیاسی، و حتی صفحات اقلیت های مذهبی، قومی و فرهنگی ایرانی را که معترض به تبعیض و یا ویرانی روزمره میراث های فرهنگی و طبیعی و محیط زیست ملی و بشری ایرانزمین هستند را، هک کرده و به این ترتیب ارتباط ایرانیان داخل و خارج را قطع کرده اند. ما آزادی خواهان ایران، امضا کنندگان این نامه، به عنوان بخشی از شهروندان شما، و هم زمینی بودن با شما، بر اساس اعلامیه حقوق بشر، که بر حق آزادی اندیشه، عقیده و بیان، انسان ها بدون ترس و تعقیب و تفتیش تاکید می کند و آن ها را در کسب و دریافت انتشار اطلاعات و افکار بدون ملاحظات مرزی آزاد می داند؛ از شما می خواهیم که با همه ی امکانات فنی، دانشی و حرفه ای خودتان راه حلی برای این رنج انسانی پیدا کنید و اجازه ندهید که حقوق کاربران ایرانی، یا ایرانی تبار شما، که در سراسر جهان گرفتار سانسور و تفتیش شده اند به دست حکومتی که جز به زبان سرکوب با مردم خود سخن نمی گوید نابود شود. همین جا از مردمان انساندوست جهان تقاضا داریم که کنار ما ایستاده و ما را در نگاهداری از آزادی های طبیعی، مدنی و انسانی خود یاری دهند. We who support this petition find it unacceptable that Congressman Dana Rohrabacher dispatches a letter to Secretary of State Hillary Clinton urging Washington to support the separation of Azerbaijan from Iran. Through our collective efforts, we call upon the congressman, Dana Rohrabacher to redact his proposal. Historically speaking, Azerbaijan has been part of Iran for over 3000 years. Iran, like America, is a melting pot of diversity for the Middle East as a nation where a number of different Middle Eastern ethnicities live within a single nation.